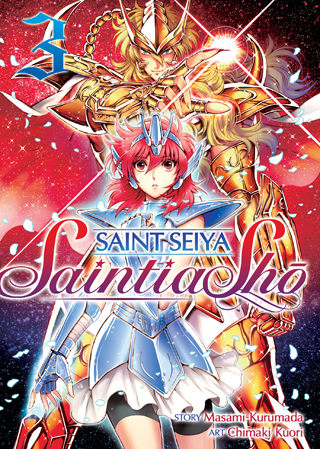 Shoko continues her training to become a Saintia, a mystical warrior dedicated to serving the goddess Athena. Athena and the rest of her guardians are busy preparing for galaxy-wide war, but for Shoko the fight has been personal ever since the evil goddess Eris possessed Shoko’s sister, Kyoko. When Eris attacks, it’s Shoko’s duty to fight Eris and protect Athena…but can she do so without hurting Kyoko?